As it salutes its Medal of Honor recipients—Hon. 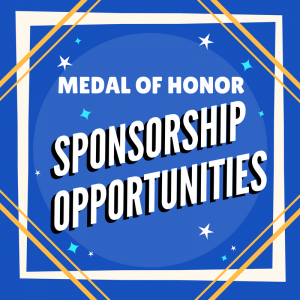 Linda R. Feinberg and Justin P. Walder—the New Jersey State Bar Foundation is offering sponsorship opportunities for its Annual Awards Dinner, as well as the opportunity to co-sponsor its High School Mock Trial Competition for a year. Lead the way and help the NJSBF bring law to life by cosponsoring the nationally-recognized Mock Trial Competition. Includes: One year of Mock Trial Co-Sponsorship; thank you in program, on event banner and all publicity and follow up; full page outside back cover program ad; 10 dinner tickets. Includes: 10 dinner tickets; full-page ad; recognition on event banner, pre-dinner video scroll, publicity, and program. Includes: Five dinner tickets, half-page ad and recognition in program. In addition to the above opportunities, you may congratulate the honorees and support the work of the New Jersey State Bar Foundation with an ad in the 60th Anniversary Commemorative Dinner Program Journal. Full page ads (5″ w x 7.125″ h) are priced at $1,000 and half-page ads (5″ w x 3.312″ h) are $500. Advertisements must be emailed to [email protected] before Friday, September 7, 2018. Print-ready, high-resolution CMYK PDFs with fonts embedded is the preferred file format. Please join in celebrating the 60th anniversary of the New Jersey State Bar Foundation by giving to our $60 for 60 years campaign. All patrons will be listed in a roll call of donors on engraved bricks to be installed on the portico of the New Jersey Law Center. If you would like to contribute to our $60 for 60 years campaign, please click here.